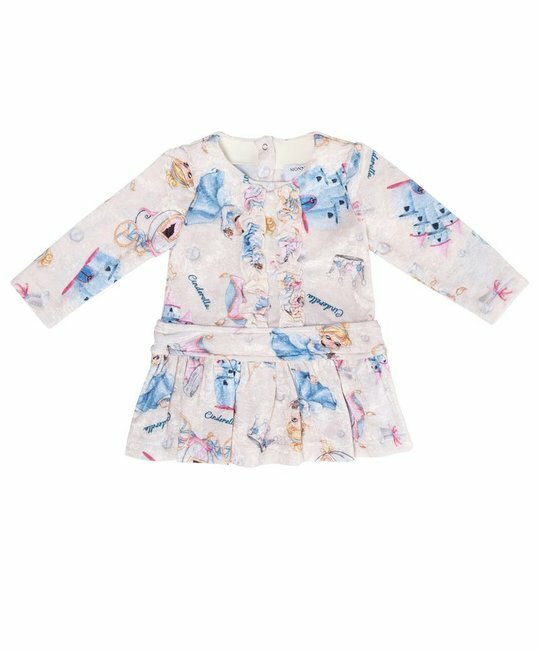 Monnalisa soft long sleeve dress with ‘Cinderella’ print detailing. 98% Viscose, 2% Elastane. Made in Italy.